Build on your lot or have us find your idea home site. Homes shown are just a sample of our designs. Use one of our plans or have us create your ideal home design. We are a full service Design/Build company offering in house architectural services and all home construction projects are personally managed by Jason Smucker, President of company. Our homes feature superior insulation and structural products to create a comfortable long lasting home. Beautiful Home sites are available in Hawkeye's & Showfields in Lewes, DE. We can assist in finding your perfect home site at any Delaware Beach. Call us for pricing. House prices listed are for home only, exclude lot cost, permit/connection fees and site work. Click to Learn more how our services save you money and time! Double porch home Great for Waterfront! 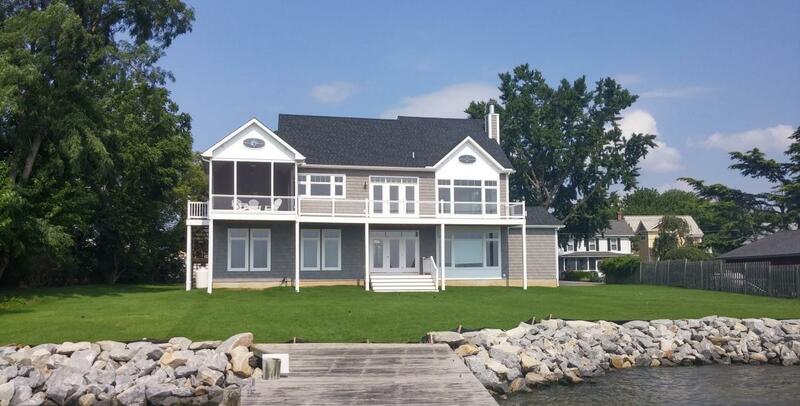 Expansive Home designed for waterfront living!